Today, WindowsUninstaller.Org will teach you how to completely remove Babylon Toolbar and its annoying/ unwanted "enhanced search" for your computer system. 1. 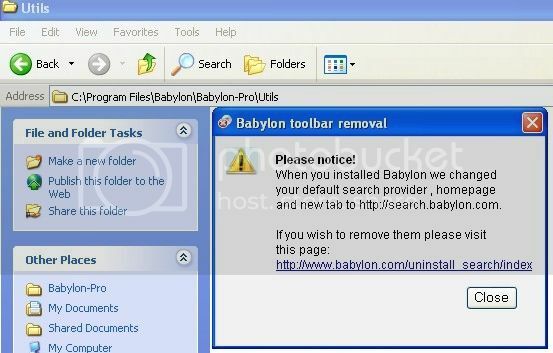 To smoothly and forcibly remove Babylon Toolbar, you must be the Admin to proceed with the following steps. You of course need to exit the running translator client cleanly, including related open webpages and active processes running in background - to do so, run WTM and check Processes tab. 2-1. start >> All Programs >> Babylon >> launch the "Uninstall" option. 2-2. start >> Control Panel >> Add/Remove Programs >> find below "Babylon" item (11.72MB), hit Remove button. 2-3. 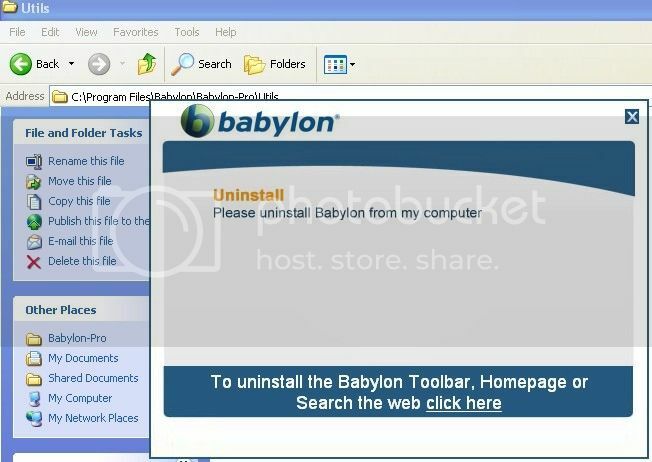 Go to Babylon install file folder, shown below >> the "Babylon-Pro" sub-folder >> Utils folder in it >> run uninstbb to remove Babylon Toolbar. 3. 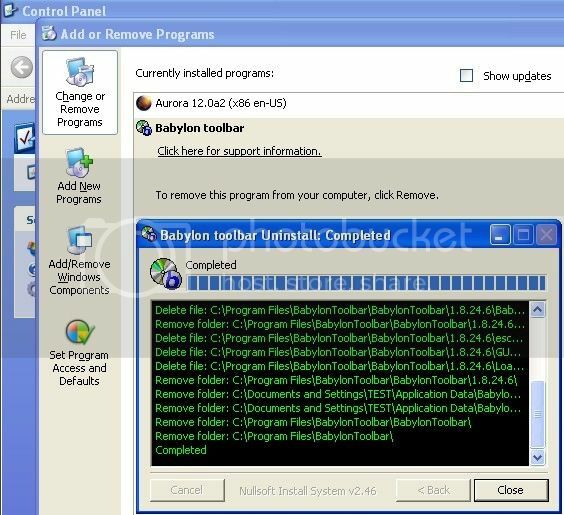 Then, to proceed to remove Babylon Toolbar, you need to choose the following "Uninstall. Please uninstall Babylon from my computer" option. 4. Close the "Babylon Toolbar removal" dialogue box. 5. 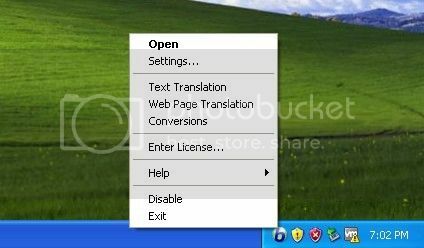 Close that "Utils" folder, the following "Babylon 10 Translation Software and Dictionary Tool" webpage after you automatically remove Babylon Toolbar. 6. 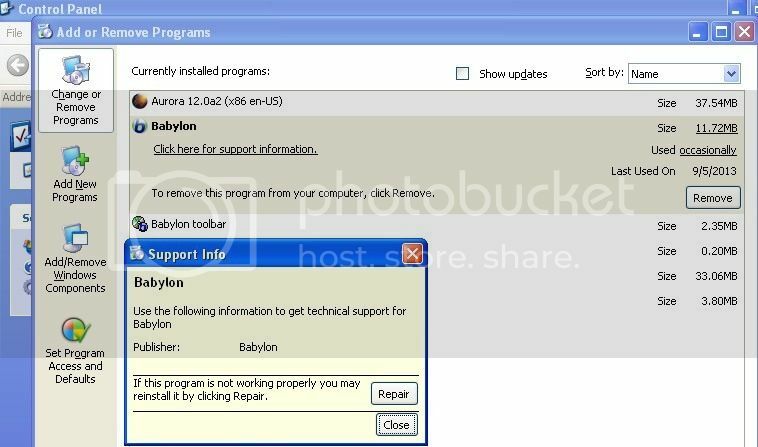 To safeguard and restore your browsers, you need to reuse Windows Control Panel to remove Babylon Toolbar (2.35MB) that's remaining in programs list. 7. You then select Yes option from below "Babylon toolbar removal" to verify you wanna get rid of it. 8. Shut down the said "Babylon toolbar removal" again. 9. 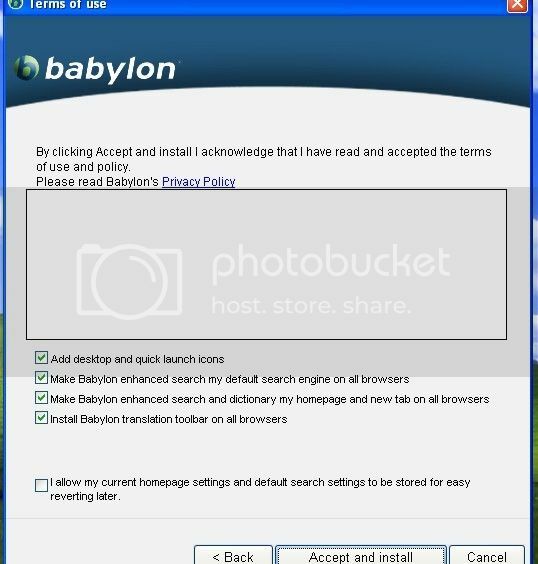 Close the "Babylon toolbar Uninstall" when it completes your request. 10. Then your Add/Remove may become freeze till your default browser opens the following page saying "The software was successfully removed.". 11. Run all of installed browsers on your computer; check "Home Page" settings, you should be easily to reset the homepage to your preferred one to completely remove Babylon Toolbar. 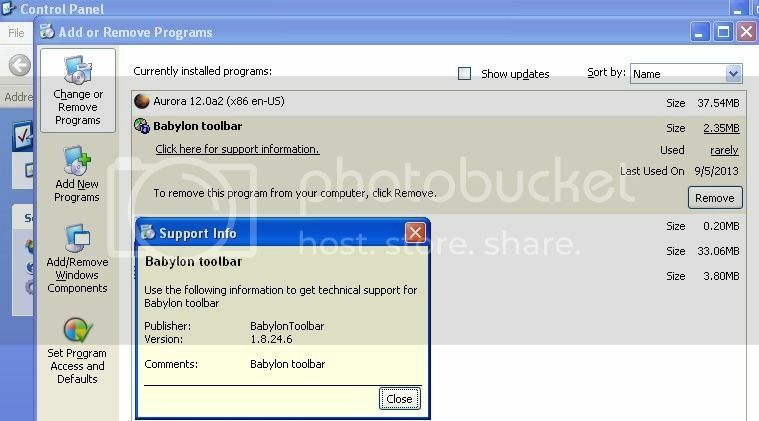 Remember to re-run your web tools to ensure you've successfully removed Babylon Toolbar from your machine.